In e-commerce, there are different types of shoppers who need to be approached in different ways. Understanding your audience’s expectations will help you create a better on-site experience, keep your customers for longer and earn their loyalty so that they return over and over again. Let’s imagine that after an ordinary marketing campaign, your store gets traffic that is not highly engaged and bounces a lot. What should you do? 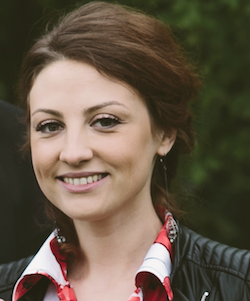 How can you win back the attention of first-time visitors if they decide to leave without purchasing? On the other hand, you should also boost loyalty and encourage existing customers to come back to your store. Let’s have a look at what you should do or say when your first-time visitors, as well as existing customers, are about to leave your store or have already done so – how to win them back and encourage them to make a purchase. An exit-intent pop-up appears at the exact moment when the visitor is about to click the “Back” button, “Exit” button or address bar. Your message in the pop-up might convince them to stay a while longer, but you have to offer something that your visitors might be interested in. 1. Loyal shoppers and hipsters will like a pop-up that promises an exclusive offer and updates of new arrivals. 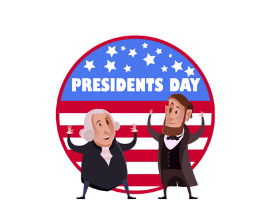 By promising exclusive deals only for your brand club members, you will attract the attention of shoppers who enjoy loyalty programs (Reward Shoppers). Meanwhile, hipsters who mostly buy high-end retail brands will also appreciate you for informing them first about new arrivals to your store. So if your customer is in most cases a hipster, bear in mind what to highlight. 2. Deal hunters and day-dreamers will like a discount pop-up. This pop-up has a lot of benefits. First of all, you will entice visitors who are looking for great deals and hunting for discounts or those who find your prices unaffordable. The second thing is that your first-time visitors will leave their email addresses and let you contact them later via email. You will not lose money that has already been invested in bringing these visitors to your site. You will be able to approach them repeatedly with your future email and social media campaigns. Finally, by making visitors enter their emails in signup forms, you will decrease your website’s bounce rate. So this is a win-win email pop-up. This technology is getting more and more popular. But it should be used smartly. Push up notifications allow websites to send messages via web browsers straight to a customer’s desktop or mobile even after they’ve left the website. With a single confirmation click, your customers sign up to your push notification feed and get direct and instant messages about products back in stock, price drops, etc. This feature should be effective with deal hunters, recreational shoppers, as well as day-dreamers, who do not buy immediately but wait for the right moment. 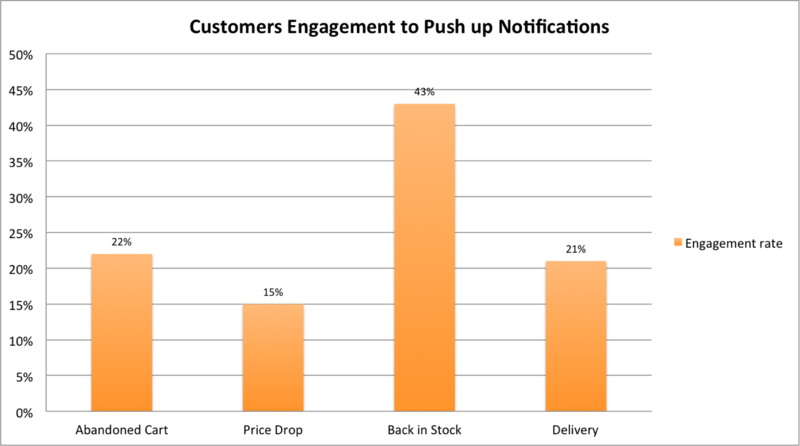 According to FirePush statistics, in March 2016, Shopify shops enjoyed a push notification subscription rate of up to 8% and a high engagement level from users who had subscribed. See the chart below. The pushes are relevant and effective. However, before launching this kind of notification, you should have a clear strategy. Too intense communication via push-ups can bother your customers and drive them away. So use them smartly and only when needed. 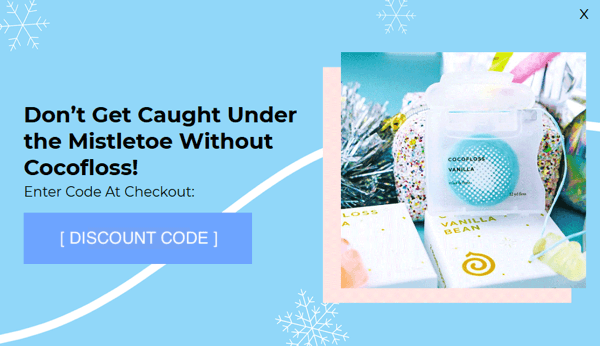 Sending abandoned cart emails is a safer way to win back your customer’s attention and get them back to your store. 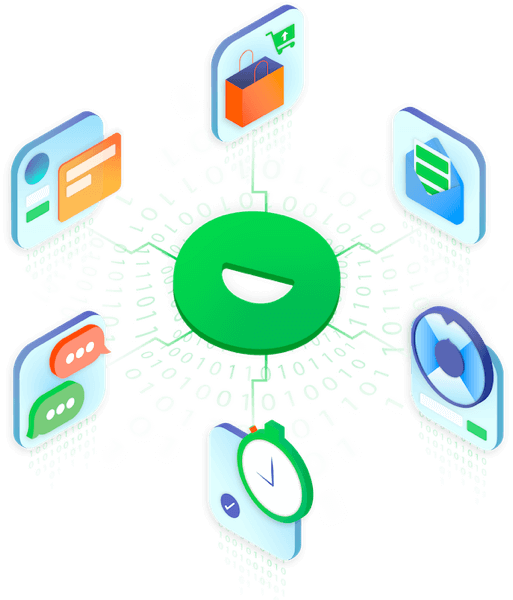 It is extremely effective with the Flitter shoppers [link] who browse your store and do many additional things at once and then finally forget what they have been doing and close the browser without buying anything. Also, reward shoppers, deal hunters, and day-dreamers will react to this kind of email if you offer free shipping or some other incentive to come back and finish a purchase. Only 3 out of 10 shopping carts finish at the checkout. According to recent Omnisend e-commerce email marketing research, after receiving a single abandoned cart email, 13.96% of customers come back to your store. 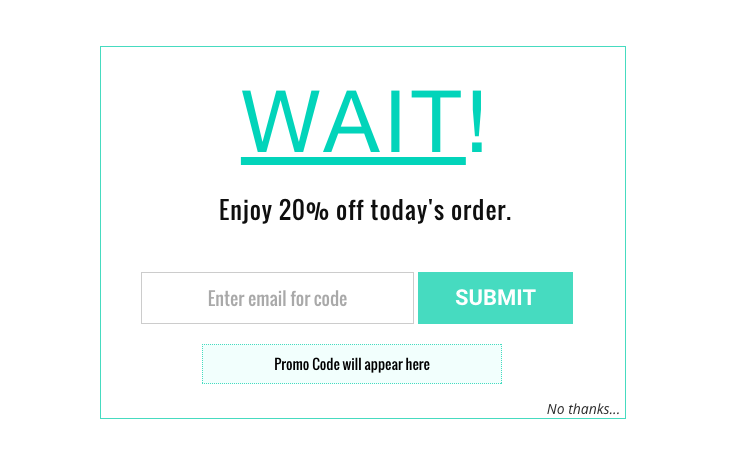 If you send a series of them, you win back on average 25% of customers who have abandoned their shopping carts. 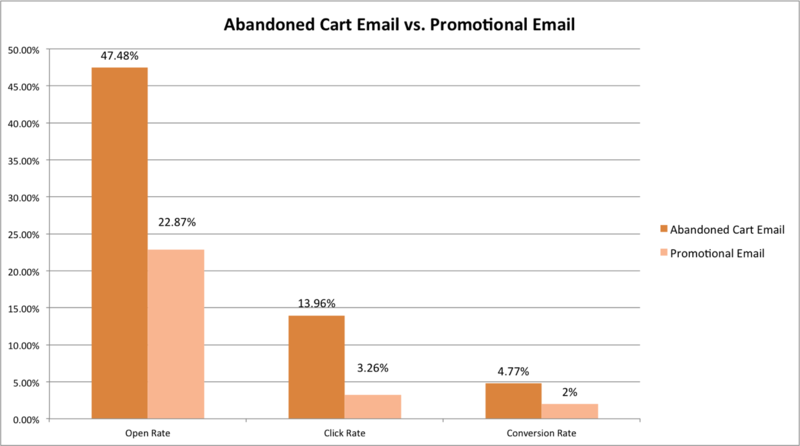 The conversion rate of abandoned cart emails is 4.77%. In comparison to promotional emails with a 2% conversion rate, this email is more than twice as effective as the bulk email. See more comparison data in the chart below. The average revenue per abandoned cart email is $5.46. In some countries, like Australia and India, it is even higher. 1. 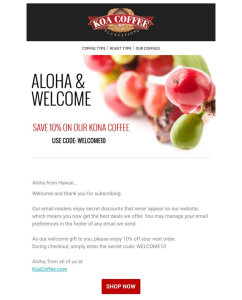 Automated abandoned cart emails are reminders of listed products that customers have already chosen from your store. They want them but probably are waiting for some incentive. You should give them one! 2. Emails are highly relevant and personalized so they will never be treated like a spam message. 3. Only 24% of retailers take action to win back lost customers. So sending this kind of email can be commercially advantageous. 4. The good thing for you is that these emails do not require a lot of your time. You set them up once and then make money 24/7. For more benefits about abandoned cart emails click here. A re-activation email is the best message that you can send to your customers to win them back if you notice that they have been absent for a while. 89% of companies that send re-activation emails claim them to be effective. Re-activation emails usually use incentives, i.e. personal discounts, a special gift, free shipping etc. Most often, the message is something like: “We miss you, please come back to store. + [special offer]”. Again, we can see that deal hunters, day-dreamers and reward shoppers won’t miss the chance! Bear in mind that automated re-activation emails are sent when your customers are not so strongly engaged with you anymore, so you may send even a series of emails to win them back. In this case, a series of emails can be sent once a month. For more interesting email marketing data, check out these email marketing stats! The example below shows what this email can look like. 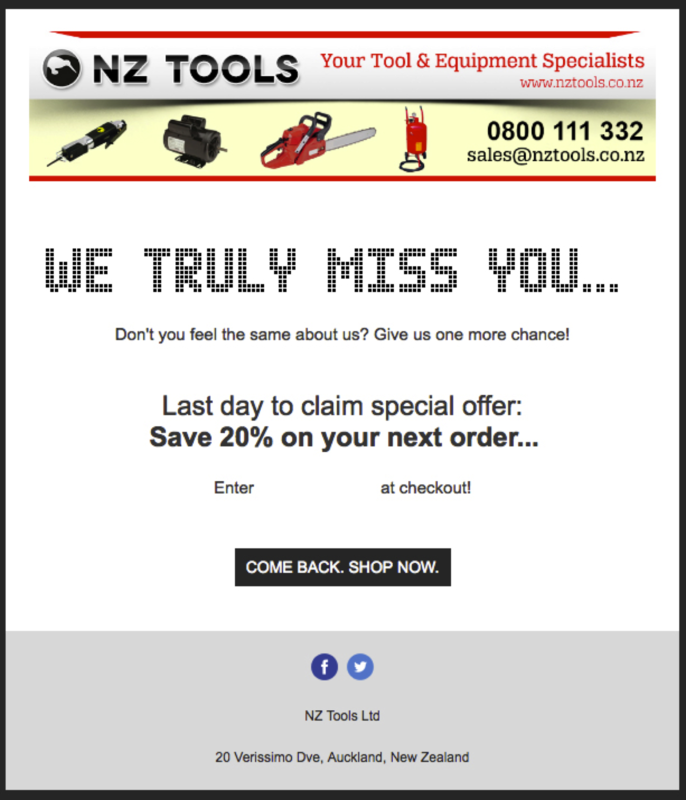 NZ Tools use the default Omnisend re-activation series of emails. Here is the third and the last email of this series. You will need time to completely identify your audience and understand what works best for them. Now you already know the alternatives for grabbing a visitor’s attention on your site and how to win them back after they leave. Pick a combination that suits you best and you will soon yield positive results.